Earlier this week, we joined with Human Rights Watch, Amnesty International, Article 19, and 10 other international human rights groups in a letter to Google’s senior leadership, calling on the company to come clean on its intentions in China – both to the public, and within the company. A little background: it’s been almost a month since The Intercept first broke the story that Google was planning to release a censored version of its search service inside China. Since that time, very little new information about the effort, known as Project Dragonfly, has come to light. Over 1,400 employees have asked Google to be more transparent about the search giant’s plans, but at an all-hands meeting executives only responded with generalities before the conversation was cut short. Google certainly hasn’t provided the public with any details, leaving many in the human rights community to continue wondering how Google plans to avoid becoming complicit in human rights abuses by the Chinese government. Google still owes both audiences—Google employees and the public—an explanation. Google has committed to following certain human rights principles wherever it chooses to operate. Google has been through this before regarding the pros and cons of Internet companies entering the Chinese market. As we mentioned in our last post, Google is a founding member of the Global Network Initiative (GNI)—a group dedicated to ensuring that “technology companies [can] best respect the rights of their users.” That means Google has committed to following certain human rights principles wherever it chooses to operate. The GNI was launched in 2008 following the controversy surrounding Yahoo’s Chinese operations handing over the private emails of a journalist, Shi Tao, who subsequently served eight years of forced hard labor in prison because he trusted a Western company with his communications. To avoid such tragedies from happening again, Google, Yahoo and other technology companies formed the organization in co-operation with human rights groups, including EFF, to provide process, transparency, and accountability to their decisions to enter jurisdictions like China where tech companies may be pressured to comply with similar demands that violate human rights law related to privacy and freedom of expression. China’s Internet censorship and surveillance programs have repeatedly violated international standards regarding privacy and freedom of expression, association, and religion. Because of that, Google needs now to live up to the GNI principles and “demonstrate its efforts” to “address the adverse impact” of China’s demands for censorship. Google executives can start by answering the following questions. How does Project Dragonfly fit into Google’s obligation to support the freedom of expression of Chinese users? 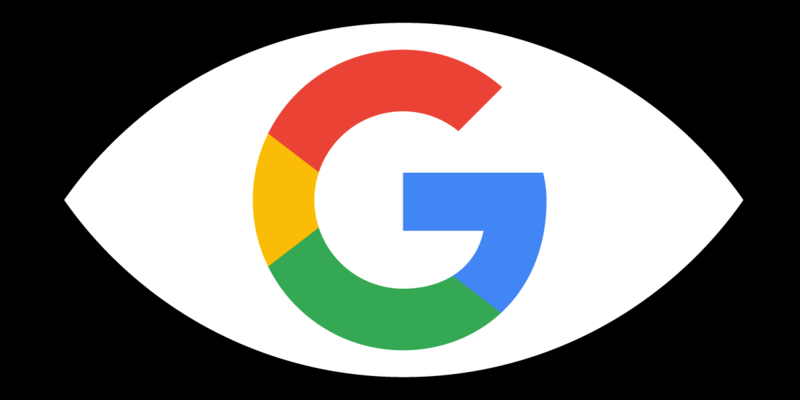 As a member of the GNI, Google is obligated to “respect and work to protect the freedom of expression of [its] users by seeking to avoid or minimize the impact of government restrictions…on the information available to users”. It’s hard to see how Google plans to create a search app that somehow abides by China’s arbitrary, secretive and overtly politicized censorship regime while still protecting the freedom of expression of users. If Google thinks they have a way around this, they should publicly explain how. How does Project Dragonfly fit into Google’s obligation to protect the privacy of Chinese users? In 2009, a group with ties to the Chinese government launched several sophisticated cyberattacks targeting the Gmail contents of Chinese human rights activists. This event, among others, contributed to Google’s decision to pull out of China. Since then, the Chinese government has doubled down on laws which would make targeted surveillance even easier. How does Google plan to protect the privacy of its users from the Chinese government, which has sought access to personal data in order to persecute Internet users for their political speech, religious associations, and for writing code? So far, no answers have been forthcoming. How will Google prevent Project Dragonfly from leading Google to become complicit in Chinese human rights abuses? When Google first considered entering China, the constraints it set on its actions, and its subsequent decision to leave, were determined by a group who knew intimately the risks of what it was doing: its employees. We know from our work advocating to Google over a decade ago that there was a wide-ranging and often contentious debate within that younger, smaller Google. It wasn’t just from high principles (though they played their part): there was also a recognition that if Google ended up, like Yahoo, being complicit in human rights abuses, the reputational damage would demolish the trust that Google needed to conduct the rest of its business. The modern Google has shown that it’s sometimes willing to listen when its employees raise similar concerns in new contexts. When news came to light that Google was contracting with the U.S. military, outcry from Google employees helped bring that project to account. That conversation, based on facts, was cut short in the last internal Google discussion, but it still needs to take place. Google employees are uniquely positioned to demand that their company does the right thing by China, and by the world. Google employees are uniquely positioned to demand that their company does the right thing by China, and by the world. After all, if Google does the wrong thing, it will be the employees’ own work that will be affected. Without a proper debate by Google’s staff, fueled by complete answers to core questions about Project Dragonfly, the company’s Chinese project risks setting a bad precedent for the global tech sector. Not only is Google walking down a path to complicity in acts that no Googler would want on their conscience or their resume; what Google does—given the behemoth that it is—will surely influence other companies that are contemplating entering the Chinese market—for good or for ill. Human rights organizations will keep up the pressure from the outside. We urge Google employees to keep up the pressure within. Google’s management should listen to both — and remember its history, its GNI obligations, and its moral obligations as a global company whose actions have real-world consequences for millions of users.